Enduraplas, we use North Dakota’s Red River Valley to ensure our heated water bowls get the job done in extreme weather conditions. Thanks to our thermo-siphoning technology, the water source remains open on the coldest of days. We do our best to anticipate even the smallest issues in these challenging climates, which is why we designed a round top to prevent ice and snow buildup. Thanks to our thermo-siphoning technology, the water source remains open on the coldest of days. We do our best to anticipate even the smallest issues in these challenging climates, which is why we designed a round top to prevent ice and snow buildup. 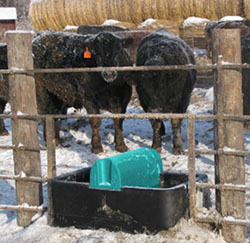 A heated water bowl solution doesn’t enhance your operation unless you can use it year after year in tough conditions. 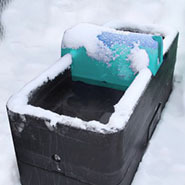 At Enduraplas, we deliver the durable heated water bowls your operation needs. You can count on these heated water bowls, which feature three lightweight-yet-strong sections, for long-term performance and use. 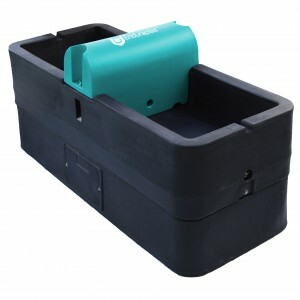 Click here to see the complete line of Enduraplas products.